When blinking, the glands on the eyelids will produce a little tear in order to moisturize your sense of sight and remove foreign objects from it. When you yawn, laugh out loud or cry, then more tear production. There are some people who may experience persistent watery eyes. In addition to eye fluids that contain salt (tears), other glands in the human eyelids also produce oil. This substance can prevent your tears from evaporating too fast. Watery eyes can occur when the oil-producing glands in the eye do not work properly. This makes your tears quickly evaporate and make it dry quickly. It is this dry eye that stimulates the production of excessive tears causing watery eyes. Weather and environmental factors, such as smoke, wind, or light that is too bright. There are foreign objects or chemicals in your eyes. Infection of one part of the eye. Watery eyes are also related to age. This condition usually occurs in infants or people over the age of 60 years. Usually, watery eyes do not require special treatment because the eyes can repair themselves. Sometimes this condition can be a chronic problem that requires medical treatment. Compressing the eyes with warm wet towels for several times a day can cope with clogged tears. Eyedrops may be used to treat dry eyes. Your doctor may prescribe an antibiotic drug to treat an aqueous eye caused by conjunctivitis or other eye infections. If the cause is allergic, taking antihistamine drugs can help to overcome them. Minor medical action can be done to cope with growing eyelashes or foreign objects in the eye. Your doctor may recommend surgery if there is a blockage in your tear ducts. Watery eye conditions in infants are usually caused by a blocked duct. Clogging of the tear ducts in babies can usually improve on their own without having to take special care. You can speed healing by massaging the tear duct using your fingers and make sure your fingers are clean. Perform a gentle massage starting from the corner of the baby's eye and ending in the eye that is close to your baby's nose. You can do this massage several times every day for several months. But if the condition does not improve, surgery may be the last choice. Special care may not be needed if watery eyes do not interfere with daily activities. 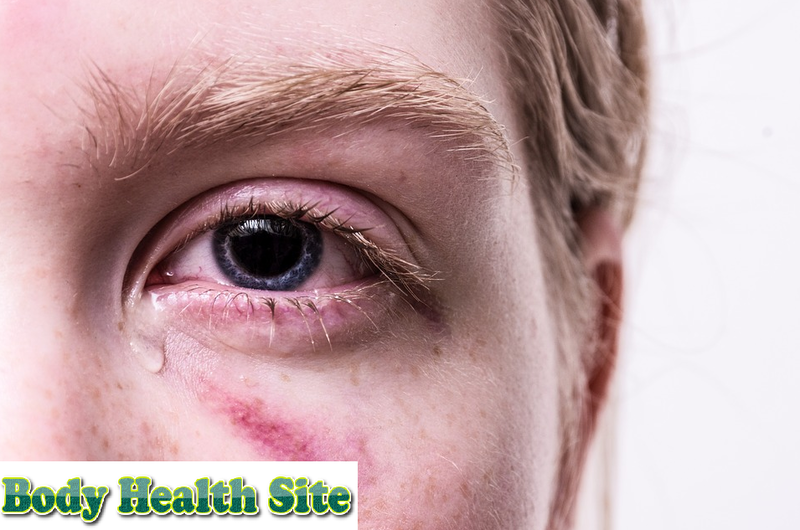 Immediately consult a doctor if you have prolonged watery eyes accompanied by pain, bleeding, reddened eyes, bruises around the eyes, irritation, severe headaches, vision problems, or even make you unable to see at all. 0 Response to "Causes of Watering Eyes and How to Overcome them"